The two men are believed to have been wearing high visibility jackets and may have had two bicycles with them at the time. The restaurant, which was robbed on Sunday night. GARDAI HAVE TODAY released descriptions of the two suspects who are believed to have been involved in Sunday’s armed raid at the Rustic Stone restaurant on South Great George’s St in Dublin. The restaurant is run by Masterchef Ireland judge Dylan McGrath. During the robbery, eight staff members were locked in a room and a significant amount of money was believed to have been taken. The first male is described as being approximately 5′ 9” in height, of heavy build and between 30-40 years old. He has a Dublin accent and was seen wearing white adidas runners with black stripes. He was also wearing black bottoms, along with a navy adidas tracksuit top with white stripes on the sleeves. He was also believed to have been wearing a monkey hat. The second male is described as being between 5′ 5” and 5′ 7” in height and of looking very thin and gaunt. He was wearing a grey adidas tracksuit top with dark stripes, grey tracksuit bottoms, light coloured runners and a black monkey hat. Gardaí are also looking to talk to anyone who was in the Dame Street, South Great Georges Street, Exchequer Street, Wicklow Street, Andrew Street or Trinity Street areas of Dublin 2 between 11pm and midnight on Sunday 23 September and who saw two men wearing high visibility jackets who were walking, pushing or cycling two bicycles. They also wish to speak to any taxi drivers who may have picked up two men fitting this description who may or may not have had the bicycles with them at the time. Finally, Gardaí are also looking to speak to anyone who may have seen any cars acting suspiciously in the area – either parked or moving – around the time of the incident. Anyone with any information can contact Pearse Street Garda Station at 01-6669000, any Garda Station or The Garda Confidential Line at 1800 666 111. 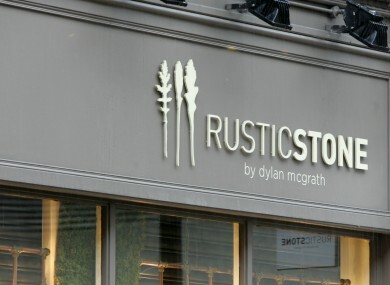 Email “Gardaí release details of suspects in raid on Rustic Stone restaurant”. Feedback on “Gardaí release details of suspects in raid on Rustic Stone restaurant”.